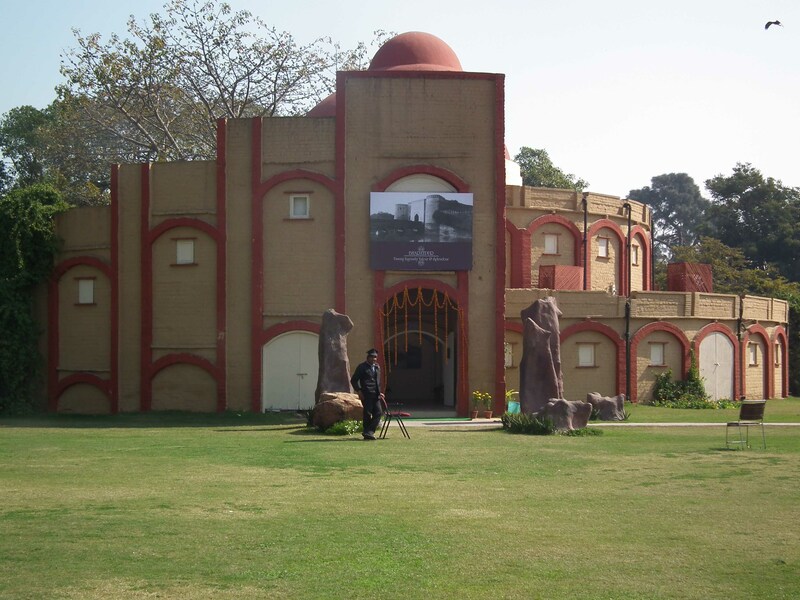 An exhibition showcasing and celebrating the history, art and culture of Bharatpur was inaugurated at the Matighar, Indira Gandhi National Centre for the Arts here on Wednesday 8th February, 2012 and will be at view till the 17th February. The exhibition curated by Urvashi Srivastava, Director, Centre for Advancement of Traditional Building Technology and Skills (CATTS) celebrates the hitherto unknown dimension of Bharatpur’s architecture and culture. The exhibition is a culmination of three years of detailed mapping and documentation exercise by CATTS at the initiative of Lupin Human Welfare Research Foundation. The entire mapping exercise was a revelation and revealed a wide variety of built heritage in Bharatpur. Buildings like palaces, mansions, havelis, shops, bazaars, dharamshalas, temples, mosques, kachahari, fort, fortification wall, bastion, pavilions, chhatri, wells, tanks and ghats were identified. In addition, a number of ruins in the form of remnants of old structures dating from different time periods have also been documented. 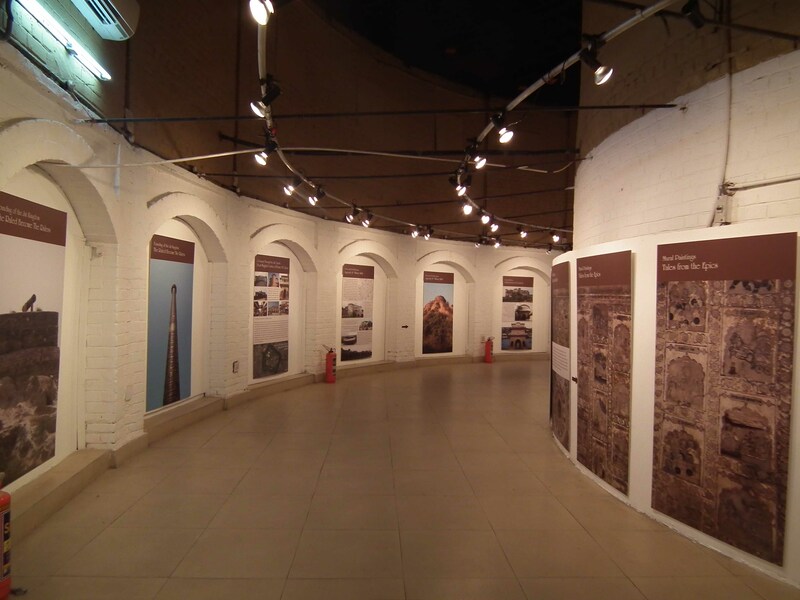 The exhibition has been compiled on the basis of this heritage mapping exercise undertaken in the city. Bharatpur, a unique amalgam of Braj folk tradition and royal grandeur of the Jat Maharajas, was a node of power and culture in the northernIndia during the post Mughal times. High quality architectural buildings and traditional spaces add richness to the monotonous contemporary urban environment. Some of the intricately carved stone buildings in the city are splendid specimens of Jat architecture and remind one of the high levels of artistic perfection achieved in the buildings of the noted Mughal Emperor Shahjahan. Unfortunately the built heritage of the city has so far gone unrecognized. The exhibition showcases the invaluable built heritage assets defining the rich character of the city. It is a first attempt of its kind, a small step towards the achievement of the larger objective of conservation of built heritage of Bharatpur and marks the beginning of a new era of conservation and heritage based development in the city. The exhibition is not meant to be an end but the starting of a process of dialogue, participation and collaborative action aimed at revitalizing and regenerating the historic core of Bharatpur. It is a humble attempt at understanding the city in order to give Bharatpur its rightful place not only on the cultural map of Rajasthan but also at the national level.